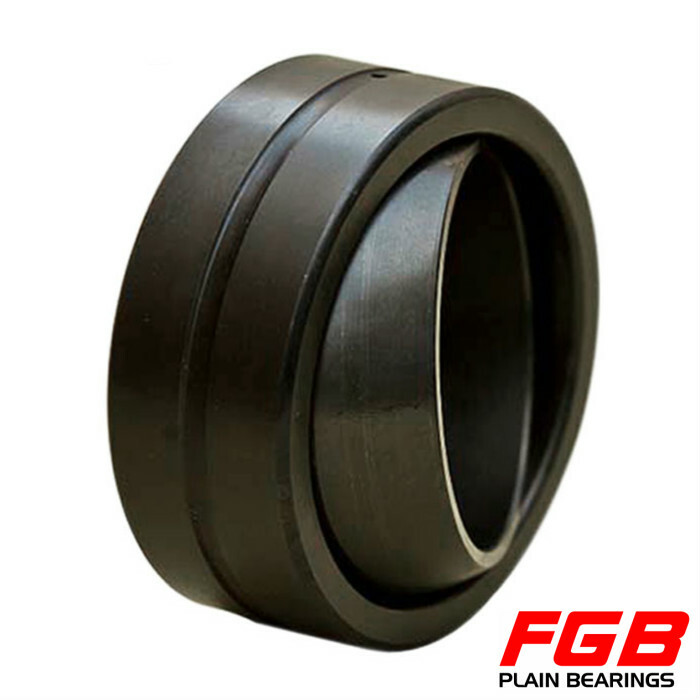 FGB supply all kinds of premium quality spherical plain bearing which is made by the high quality bearing steel, processed with advanced lathing and grinding machine, heat treated with advanced heat treatment lines. Outer race is pressed around inner race. These bearings have the same boundary dimensionsas the GE … ES type and can be used internationally. A special PTFE liner reinforced with copper alloy meshes is used on the sliding surface. Therefore,creep deformation due to compressive loads is small,and wear resistance is superior.These bearings are used as maintenance-free bearings. These bearings can be provided with synthetic resin seals which are effective in preventing dust penetration.They are indicated by the suffix "-2RS" at the end of the identification number. Spherical Bushings with superior rust prevention properties, which can be used in a corrosive environment or in an environment where water splashes, are also available on request. Please consult FGB.